The first few weeks at home with your newborn can be challenging and it’s easy to feel overwhelmed when you’re exhausted and caring for your baby 24/7. 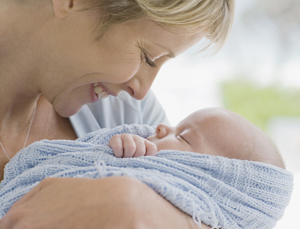 Here are 10 tips to make the transition to parenthood a little easier. Nancy Klebaum, an RN and clinical coordinator of Saskatoon’s maternal visiting program, suggests doubling up on everything you cook and putting the extra portions in the freezer. If you don’t have the time or energy to cook, stock the fridge with healthy frozen foods and snacks that can be eaten easily with one hand — fruit, precut veggies, tube yogurt and muffins are good bets. Newborns require special protection while in the car and a car seat is one piece of equipment you’ll need before the baby is born. The safest place for an infant is in the back seat (especially if there is a front seat air bag), with a rear-facing seat. The chest clip should be in the middle of the chest at armpit height so that it is over the chest bone, not over the tummy. Read the instruction booklet that comes with your car seat and secure the seat according to the instructions. You will need to review the instructions periodically as your baby grows. “A lot of new mothers think, ‘Well how hard can this really be?’ and, in fact, this is going to be a very demanding few weeks,” says Klebaum. So throw away that independent streak — some extra help will come in handy. And whether you hire a postpartum doula or enlist a family member, adds Baartman, choose people who will relieve your stress, not add to it. Baartman uses a pie chart to show parents how their lives will change with baby’s arrival. In a 24-hour clock, she fills in all the time it will take to feed, change, comfort and bathe the baby, and then gets expectant parents to fill in other activities. Inevitably, they are surprised to see how little time is left! For that reason, it’s a good idea to keep visitors to a bare minimum for the first week and to accept that the house will be messier. It’s more important to nest and bond with your baby than to worry about things like dirty dishes and vacuuming. In the first two weeks with a newborn, the rhythm and routine of nursing gets established — but for some new moms, it can be a big challenge. If you’re having trouble breastfeeding, says Klebaum, don’t wait to ask for help. “It’s much easier to solve a nursing problem in the early days than if it goes on over a longer period.” See a lactation consultant or breastfeeding clinic, or call the La Leche League breastfeeding referral service: 1-800-665-4324. The biggest hurdle for new parents is sleep deprivation, says Pam MacInnis, who practises with Kensington Midwives in Toronto. It’s important for parents to prepare for this change. “Mothers have been through the physically and emotionally exhausting experience of childbirth and then are thrown into a situation where they have new demands and little sleep. They need time to recover,” says Klebaum. So it’s important to eat well, drink plenty of fluids and find time for sitz baths and rest. A 10-minute walk each day, once you feel strong enough, is another excellent way to find some new energy. “Babies respond to your touch,” MacInnis says. “It’s great if you can establish skin-to-skin contact as soon as possible after birth and continuing with this will help your baby thrive. He will also recognize the sound of your voice, since he heard it constantly in utero, so talk to him.” Many people believe newborn babies cannot really see, but the truth is that a baby’s vision is very good over the distance between his mother’s breast and her face, says MacInnis. 10. Get in there, Dad! Klebaum advises fathers to get involved early. “Babies are creatures of habit and if Dad doesn’t soothe them from early on, pretty soon only Mom’s touch will do.” She encourages moms to learn to let go a little. Your partner may have a different way of doing things, and you’ll be tempted to interfere, but “just try to close your eyes,” says Klebaum. Rest assured, he’ll do just fine!